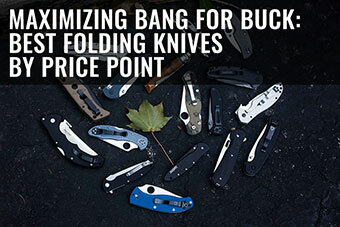 The Spyderco Endura series has been in the Spyderco catalogue for decades – long before I had even heard of Spydercos myself. If I had to nominate one knife as a flagship Spyderco, the Spyderco Endura would definitely be high up on my list. 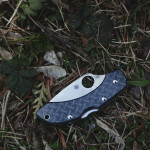 Not many would argue that the Endura and the Delica series of knives are certainly some of the most representative of Spyderco, and for good reason. 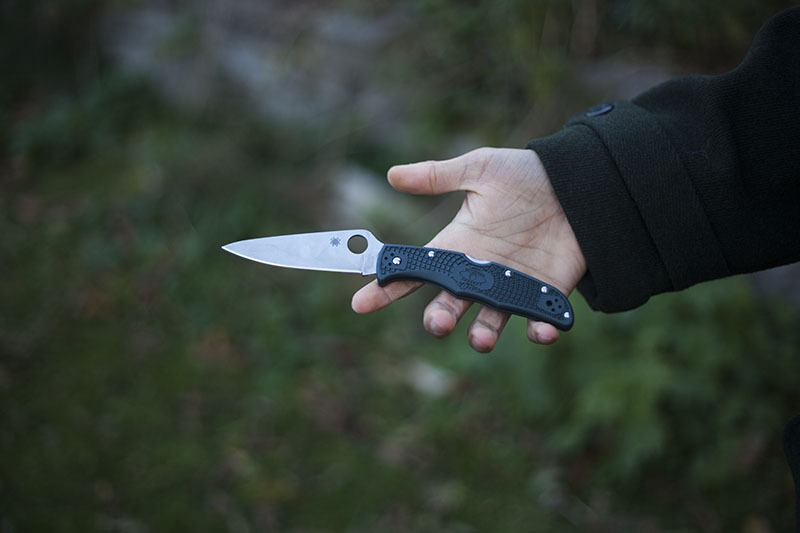 They’ve been released by Spyderco dozens upon dozens of times, with different blade steels, handle materials and colours, and even different grinds. 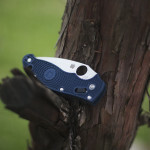 As such, the Endura and the Delica series of knives seem to be flagship representatives of Spyderco because of just how much they have been present and evolved alongside the company. 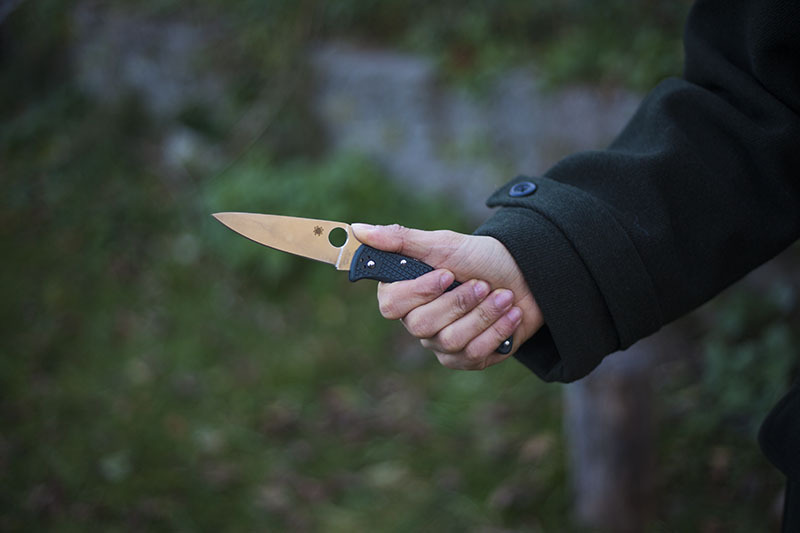 Just a heads up, the particular knife I am reviewing, the one that is shown in the pictures, is the Spyderco Endura 4 ZDP-189 Steel FRN Handle FFG (Full Flat Ground) knife. What’s odd is that for some reason, even though this knife is still in production, which you can see for yourself here, the knife isn’t currently being sold on Amazon. 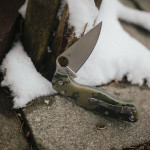 Because of this, I’ve linked to the Endura FFG version with different blade steel and handle colour. 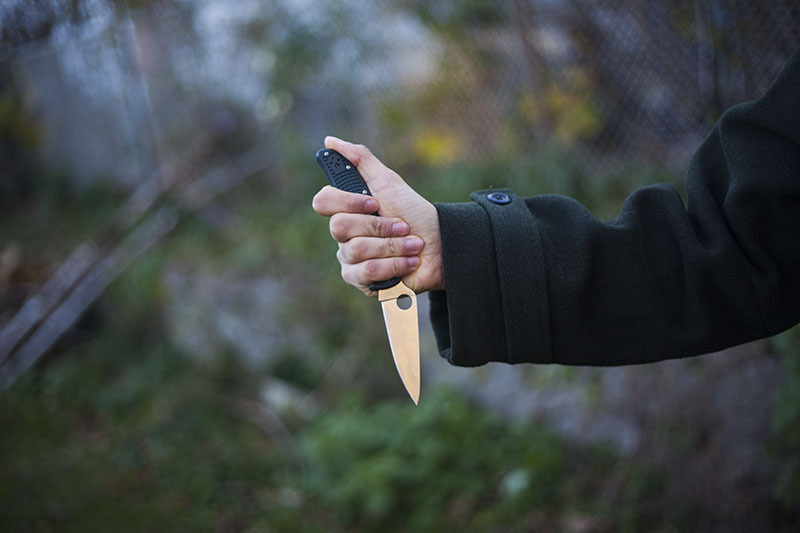 For all intents and purposes, this knife review should read identically for both knives, as they are both the very same in terms of shape, size, design, ergonomics, etc., and truly are only different in terms of blade steel and handle colour. 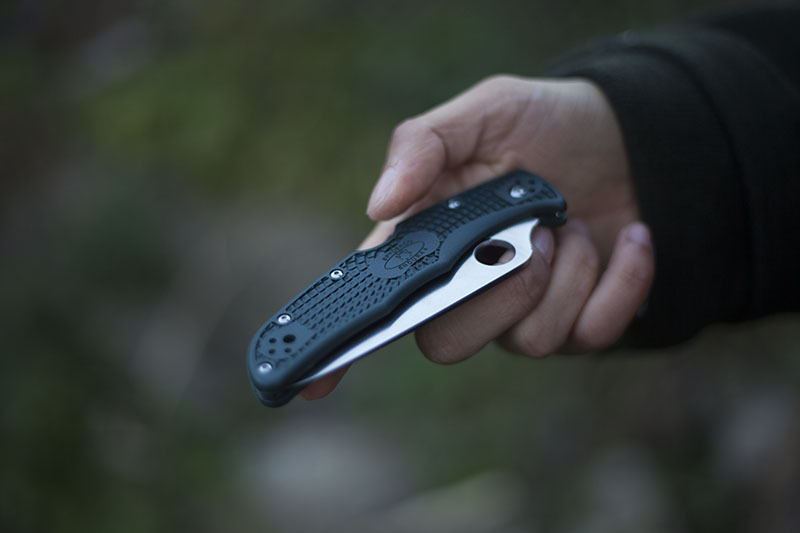 I’d also like to note that the Spyderco Endura 4 does come with a pocket clip, as all folding Spydercos do (with the sole exception to this rule being the Spyderco Air if memory serves me right). 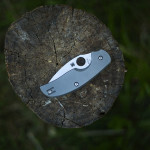 I simply do not use the pocket clip on the Endura myself, since I personally find it more comfortable without one. Of course, material does make a difference to some of the knife’s properties, so you may want to pay attention to this when finding the right knife to add to your collection. For example, the VG-10 blade steel version of the Spyderco Endura, which is not one that I own, has better corrosion resistance and is easier to sharpen than the ZDP-189 version. 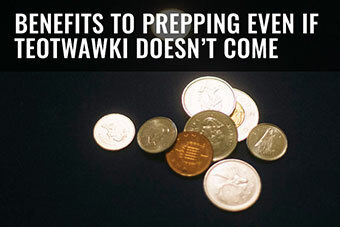 This ease to sharpen, however, comes at the cost of edge retention. By contrast, the ZDP-189 blade steel version that I own is made with a true super steel, having absolutely excellent edge retention, but being an absolute giant pain to sharpen should you not own a high performance sharpening system or at the very least some high quality diamond stones. The first time I saw the Spyderco Endura I did not envision ever owning it. 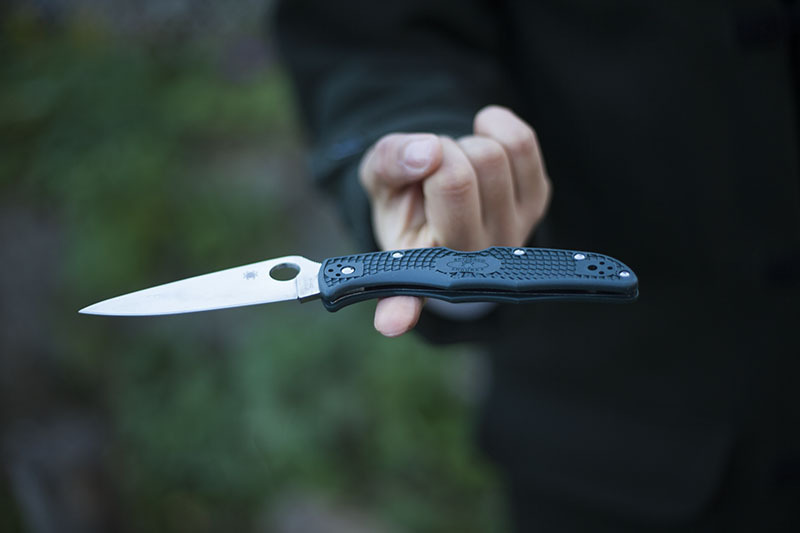 Like many Spydercos it looks rather odd, as Sal Glesser, Spyderco’s founder and CEO, designs his knives for function and not for form. 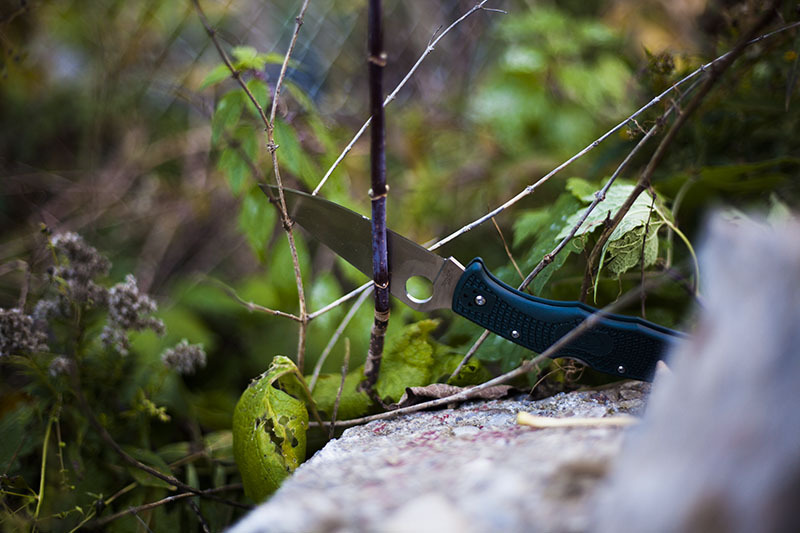 This odd duck styling is a huge part of what makes this model and its smaller brethren of the Delica series so uniquely Spyderco. My particular Endura is a full flat ground super slicer blade, in the super steel ZDP-189, wrapped with FRN (Fiberglass Reinforced Nylon) scales. Without holding and using this tool, it definitely seems like a strange combination, as it looks a bit like high end steel and a low end handle (in appearance only!) melded together to form this knife, but after using it many times, I have to applaud Spyderco for making me appreciate such a strange looking knife with plastic handles. The spine of the Endura handle and part of its blade has jimping, but it’s a conservative amount, definitely not too excessive like I’ve seen on some knives. The jimping certainly won’t tear up your hands, but it’s useful in that it will lock them onto the knife should it get wet. 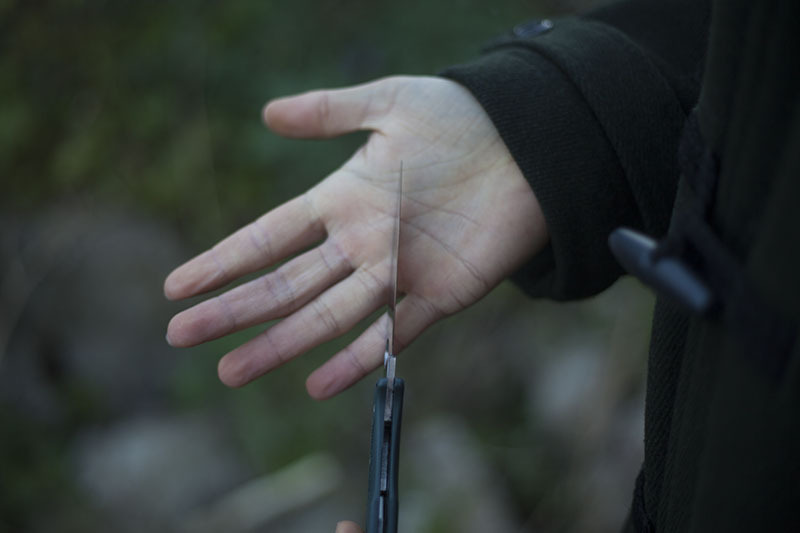 The mid-lock features the boye dent to stop accidental release should you ever have the knife open and pressed in on the palm of your hand with extreme amounts of pressure. Personally, my biggest issue with the Endura (and Delica, Stretch, Dragonfly, etc.) series is the use of the mid-lock locking system. 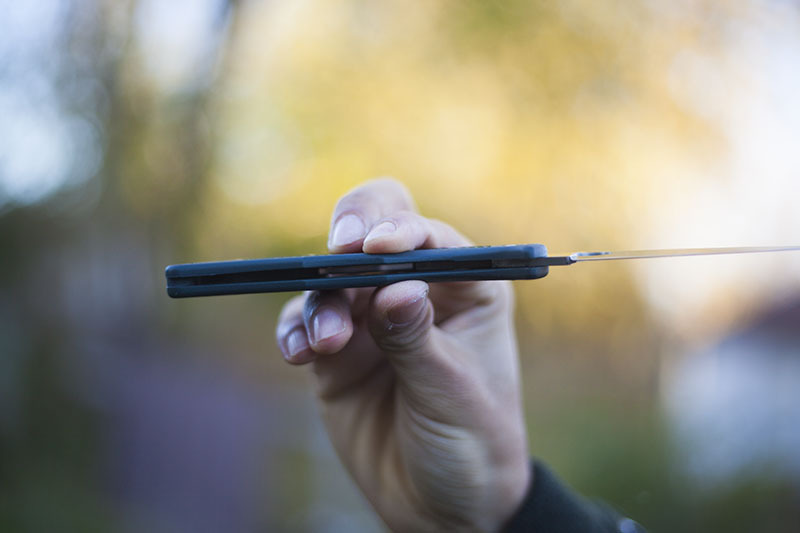 While I have never had one fail on me and I don’t doubt its reliability, I never really liked having a closed spine for cleaning purposes, and the idea of a thick steel bar for a lightweight knife just seems strange to me. That being said, at 68 grams (2.8 ounces) for a 96 mm (3.75 inch) blade, its true that this knife is pretty damn impressive for its weight and size, and while I have my reservations, I can’t argue with facts. Its an extremely light mid-lock knife. On the Endura, there’s no choil to speak of, but by design there is just about enough of the tang to stop the blade from guillotining your fingers should the lock fail for whatever reason. The stock full flat ground blade is very lean, and out of the box mine was definitely a formidable slicer. 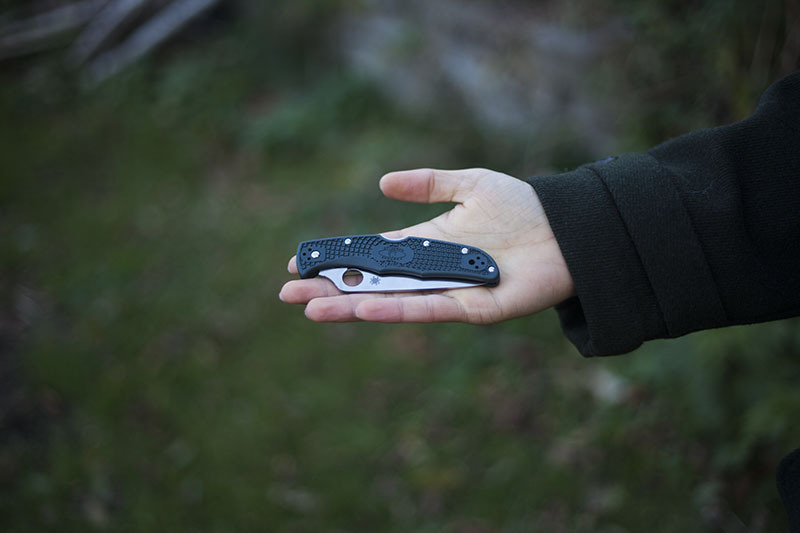 The balance point of the Spyderco Endura 4 is behind the pivot. I really like this and actually wouldn’t change this at all. The nested skeletonized liners help to keep the balance point just there. The bidirectional patterns on the scales are very grippy, and actually grip well no matter which way you hold the knife. 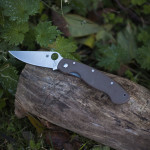 I would say the FRN scales on the Spyderco Endura 4 even surpasses Emerson’s G-10 scales in terms of gripping. The knife does not have open flow through construction as I previously noted. I’m really not a huge fan of this due to maintenance issues when cleaning – after all, you cant simply run the knife under the tap and expect all the dirt to wash away. However, I have never actually encountered problems in use, so my prejudices aside, I can’t actually knock any points off here. The 3 mm (.125 inch) blade stock is pretty thick by my standards. Admittedly, I would have preferred 2 mm or even 2.5 mm stock, but I know that most wouldn’t care for such an extreme slicer. It’s true that the 3 mm blade stock allows for the knife to be relatively flexible when it comes to what tasks it can handle. There’s certainly no need to worry about the blade breaking at that thickness, within reason of course. Using a saber grip on the Endura 4 is ridiculously comfortable. 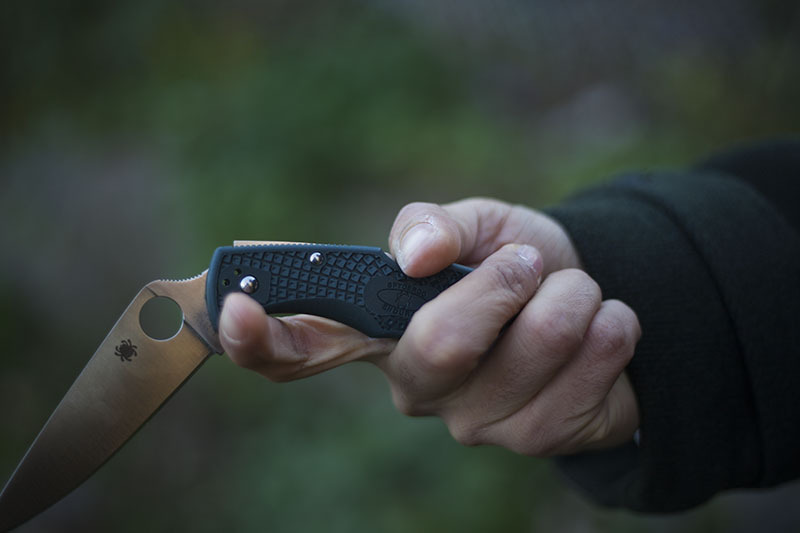 Spyderco’s really got its ergonomics down. 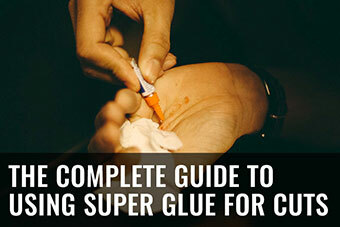 Unfortunately, though, there’s no real way to safely choke up on the blade. I would definitely not advise this grip for safety reasons. By contrast, the pinch grip, however, is perfectly viable. 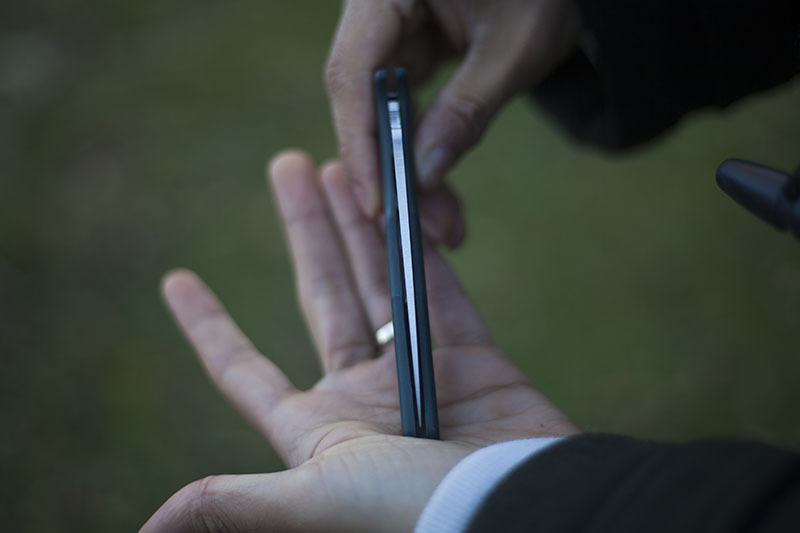 The size of the handle makes grip position relatively neutral, and very comfortable, even in reverse grip. When talking about value and the worth of a knife, cost should be a paramount variable in my opinion. 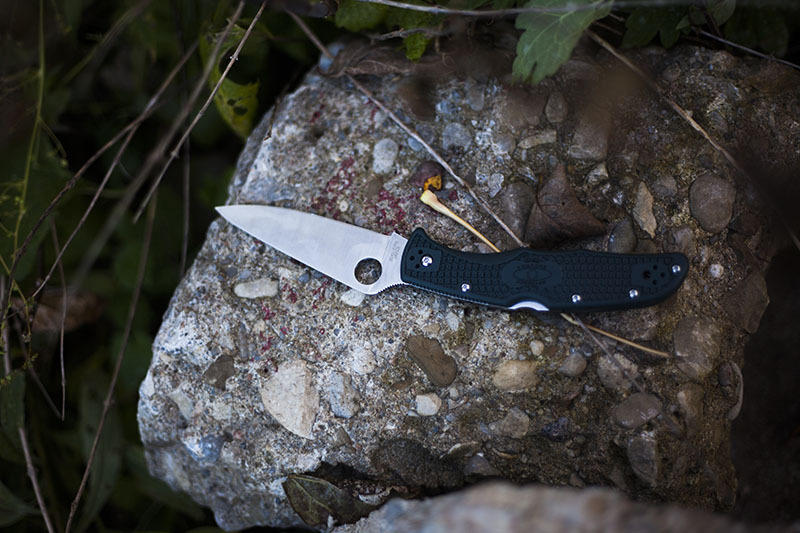 It’s nice to lust after high-ticket customs and shiny carbon fiber scales, but we shouldn’t forget knives like Spyderco’s Endura 4 when it comes to performance. After all, for $60 you can have a lightweight EDC, with fantastic ergonomics, coupled with industry leading grinds. Honestly, in terms of functional performance, I don’t think many knives can really stand up to the Endura, even in the $100-$200 price range. Throw in an extra $40 for the ZDP-189 steel version, and you automatically have a high performance monster. Though the look definitely may not be for everybody, if you’re even considering giving this knife a go, you probably should. Like I said myself, I wasn’t particularly into just how odd this knife appears aesthetically, but it’s definitely bang-for-buck worth the money, and is undoubtably one of my most comfortable and high performance knives for its price. 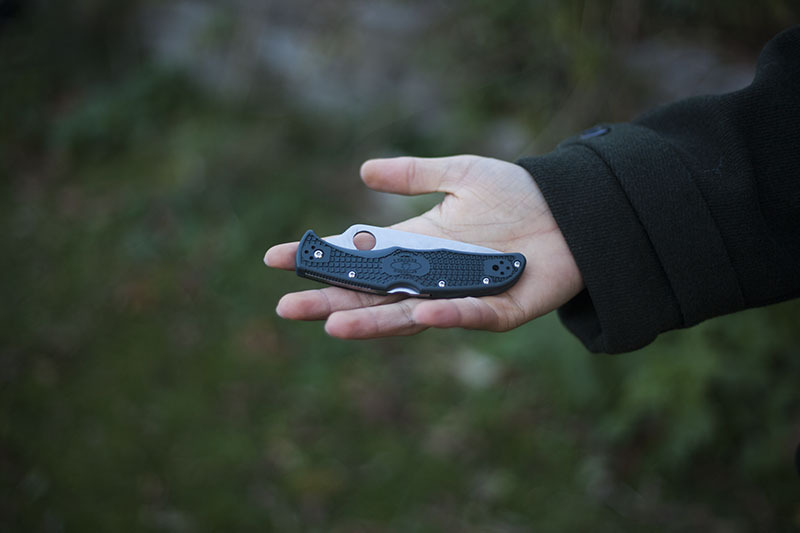 There is one model of Endura which I would rank as the best defensive knife folder at the price point – a fully serrated Endura. I explain. 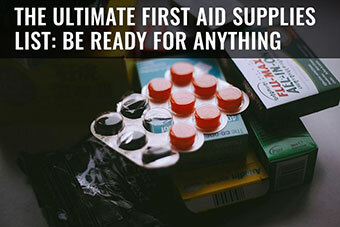 A serrated knife cut can not be sewn up. It can only be cleaned. A USMC instructor showed me his serrated blade cut from when he got to close to a student’s deployment. Years later, I accidentally cut myself with a serrated blade. Absolutely a wicked situation. 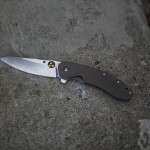 Normally, a smooth edge Endura or Police model is a better, day-to-day carry option. 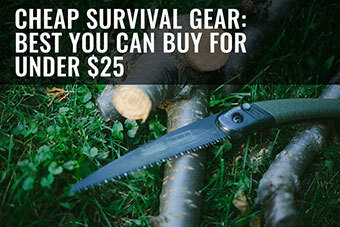 However, after shtf, the serrated model is the one of choice. 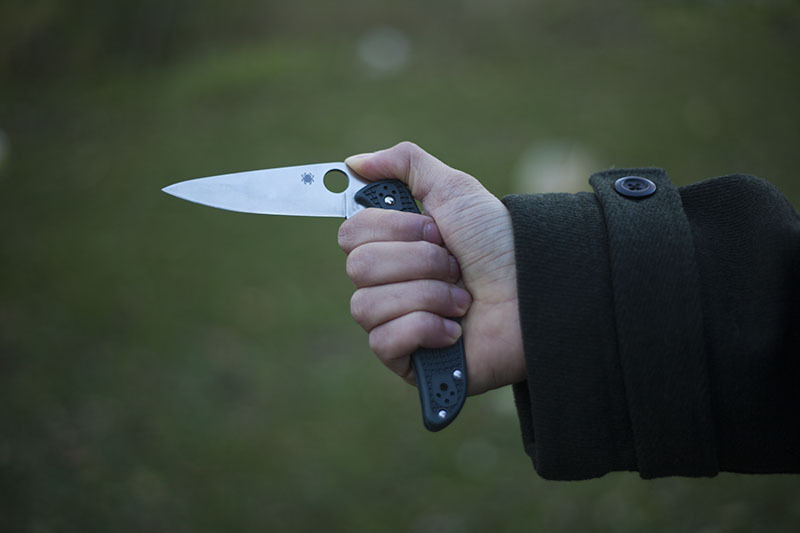 Sound logic, if you look at what is in my opinion the *best* defensive knife for civilians, it would be the fully serrated Spyderco Civilian- that is a mean, mean blade. The issue for me is that I prefer having a more versatile blade & the UK tends to judge knives on appearance insofar as the legal repercussions for using them. 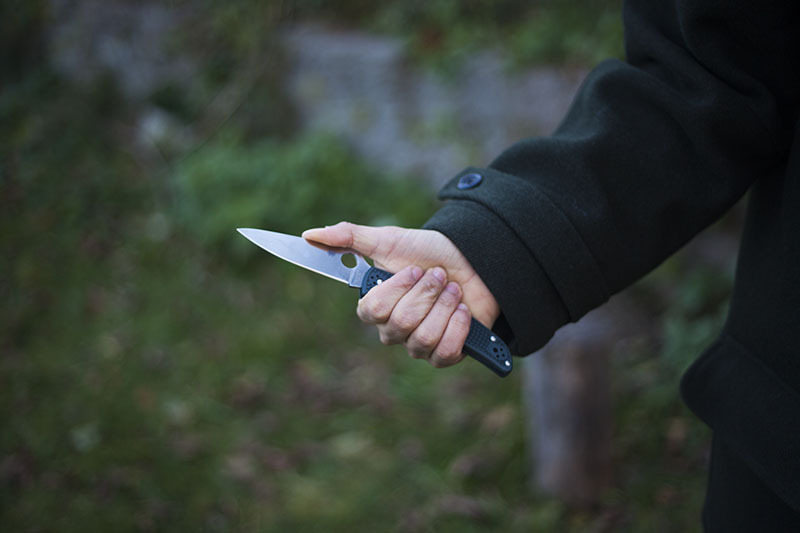 When it comes to serrations, I feel people think of them as more “aggressive” than their plain edge equivalents. Really enjoy your knife reviews and other articles. Elise and you do an excellent job. I was wondering if you’ve ever handled the endura 4 with damascus steel blade and titanium handle? If so what are your thoughts about it? It sure is a beauty. 1) Its damascus blade has inferior performance to my Superblue and ZDP-189 versions. 2) The handle has inferior grip and in my opinion ergonomics to the FRN version and at a substantial markup, the weight is also distributed in a non-optimal way compared to the FRN versions. 3) I know deep down that I would be buying it purely as a collectors piece, as a user its not as good as the regular model and I am making a concerted effort to not have “safe queens”. Thanks for dropping by Ed, I appreciate it! At the time of the First Gulf War, I was a knife dealer. When a Marine Corp unit ordered them (and at my cost), I had the same reaction to the knife. This was a new product. It looked horrible.and wouldn’t stand up to heavy usage. The response was that it was perfect carry knife. 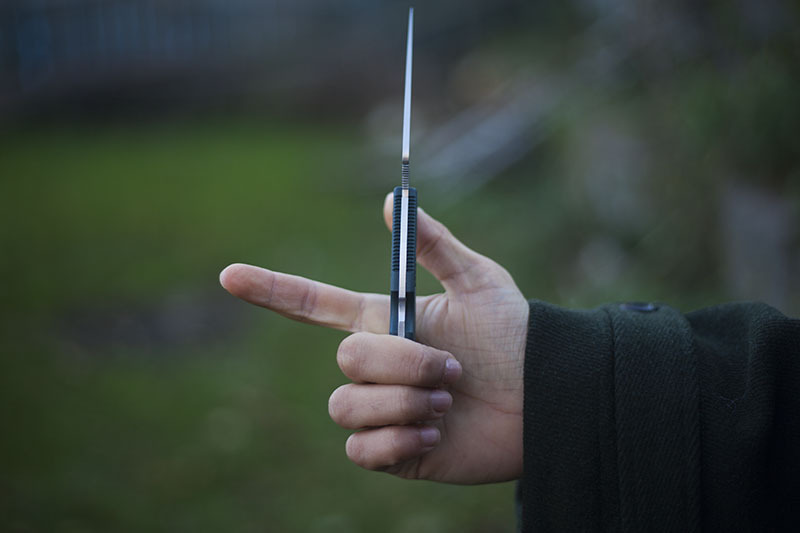 They already knew that heavy usage would break off the tip and eventually the blade – usage like digging in the dirt or puncturing cans. 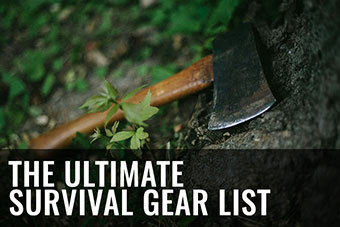 They selected a partially serrated blade. If my memory is correct, that was the only version available then. When the knives arrived, I handled them and had the same reaction as the author that the knife would be a great carry knife. 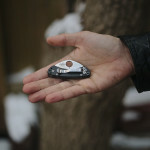 Today, if a person asked, I would tell him to order multiple Enduras rather than the more expensive Spyderco offerings or even the smaller, more popular models. 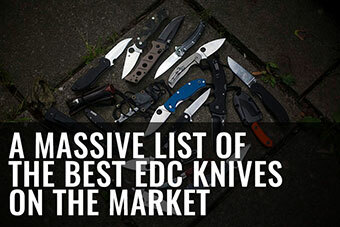 Aye, a fantastic EDC option to be sure. Lightweight, comfortable with above average cutting performance. My first introduction to Spyderco was during the first Gulf War while in the Marines. I bought a Delica with pink handles so it would be easy to find and less likely to get stolen. It performed beautifully and made me a life long Spyderco fan. I have other knives, but the Endura in particular remains my favorite. Just ordered my fourth one as an anniversary gift for myself! 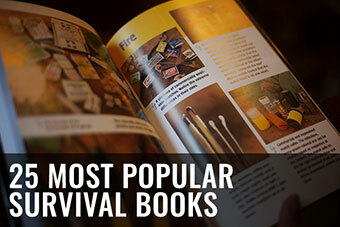 Its definitely a legend in its own right! Thanks for dropping by Tim- I appreciate your feedback. im having an issue with my new enduras, i got them in VG-10 steel, and ive had one for a few days and the other for about 2 weeks, both have rust on them now. its extremely disappointing, i know ive cut things like tomatos that could have rusted the blade but the entire knife was cleaned immediately after use and dried. ive had my SOG trident a long time and almost never had rust on it, while these knifes are having rust within days, i know i should avoid the tomatos, but did i do anything else that could have caused the rust? Not your fault at all- stainless steels (not rust proof like H1) can react adversely to acidic foods like Tomatoes. I usually rinse (under tap) and then wipe clean and don’t have any rust forming. i was in an army navy store the other day and they had a full assortment of spyderco knives, so i messed around with them. i ended up really liking the stainless steel verision of the endura, so many choices like the scale material, grind, Emerson opener. not sure what combo. 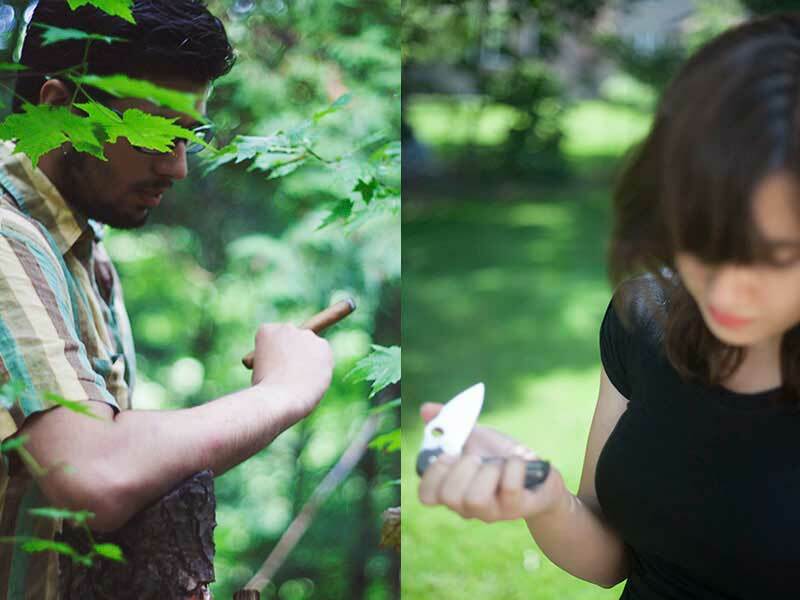 how is the flexibility of the FRN handle? The FRN is solid as hell (remember it has steel liners)- never had one fail/crack/snap/bend on me. I would trust it to the same extent as I trust my G-10 Spydies. Thanks for dropping by Matthew. Thanks for the information and advice! Your welcome Egi- sorry about the late response- been catching up! I am an old collector and enthusiast of folding knives and have a lot of knives from the 1990s. Among them are two Spydercos that have been made in Seki City, Japan and been produced about 1995. The first knife does not differ much from today’s Endura II with plain edge, the second knife, which I particularly appreciate, is a Pro-Venator C13PS with half serrated cutting edge. The Pro-Venator was renamed in in Pro-Grip in the second half of its production time between 1991 and 2005. It has inlays of black Kraton rubber which is contrasting wonderfully to the blank bright stainless steel. 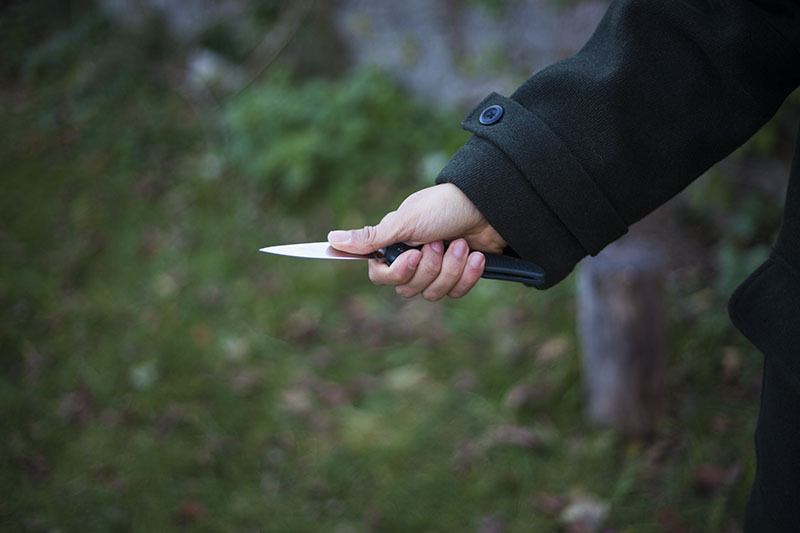 Even with wet hands you have the little knife under good control.The knife is a little gem in my collection and is like just out of the box – razor sharp and without any signs of use. 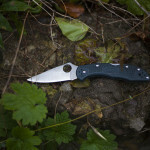 Both knives are still not yet signed with the Spyderco trademark, the little spider, which is found today on all Spydercos either on the blade or the knife handle. Interesting, from what I remember the old school Endura’s had more pointy tips? Can you confirm? For some reason I find myself nostalgic over the vintage styling of older Spyderco’s. Kinda wish I had an old school Calypso! 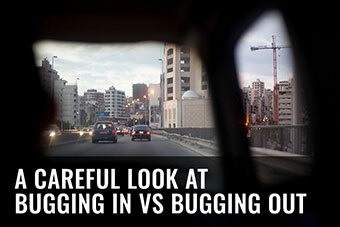 I find your blog is made quite fantastic, both the text and the images as well. Scrolling your reviews and articles and reading and looking it is a pleasure for me – better and more informative in my opinion than most YouTube videos. One suggestion I would like to get rid of on this occasion: When I read an article and want to view at the text or the images a few days later, it is often a laborious fumble. What your blog is missing is a search function or to achieve less expensive for you, an alphabetical index or glossary.I bet not only I should be happy about it! Thanks for the huge compliment Egi, we have had some comments about navigating the reviews before & we are research a solution that is technically feasible for us and practical for our readers! If you’re on mobile, the search function is at the bottom of the page, unfortunately! It’s in the sidebar and that automatically drops to the bottom of the page if you’re on mobile. 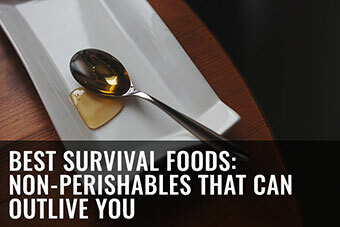 If you’re on desktop, there is a search function both in the sidebar (under the site description “More Than Just Surviving is a survival blog that concentrates on wilderness survival..” etc.) and another on the right just below the social media icons. You can press CTRL + F or on mobile the “Find in page” button to look for “Search” on the page if you’re having a hard time seeing it. If there’s any better spots for the search box that you can think of please let me know because I’m stumped for where exactly to put it (or put more!) that are visible. I’ll try to figure something out though! Until then, the search boxes are there, just not obvious at all I guess?